One of the greatest aspects of the technology revolution is the increased ability to work from home. But how do you stay as motivated at home as you do in the office? To produce at the same rate as you would at work, you need a space that is designated solely for your job. You need a home office. 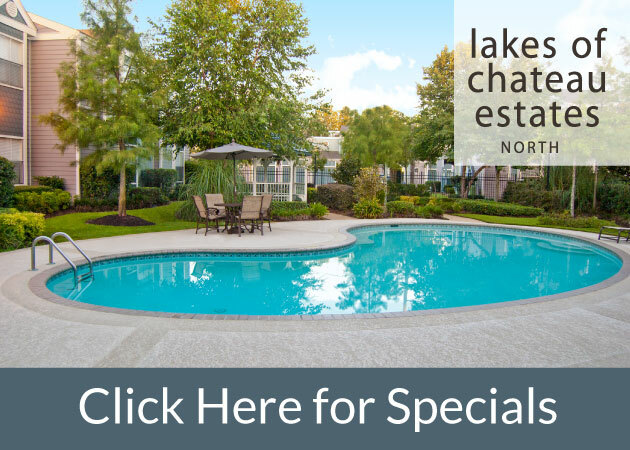 1st Lake offers a lot of extra room in its indoor floor plans, especially with the new renovations at the River Ridge, Kenner and Metairie apartments. 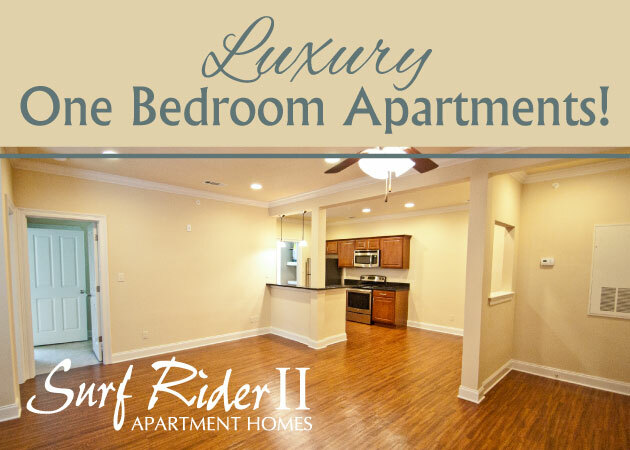 These bonus rooms can easily be converted into offices, making it easy to work from home. Before you start furnishing a home office or workspace area in your apartment, use this checklist to make sure you have the best, most useful, office decor and supplies. 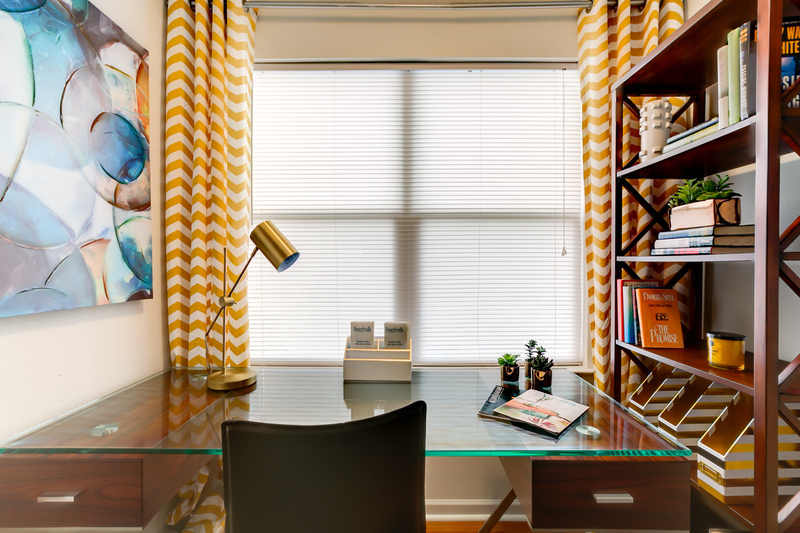 Our interior designers whipped up a gorgeous, clutter-free desk at one of our 1st Lake Properties to help inspire you! The desk and chair are the most essential pieces of furniture in your home office or workspace area. You will be spending the most time using these items, and they need to be both practical and comfortable. 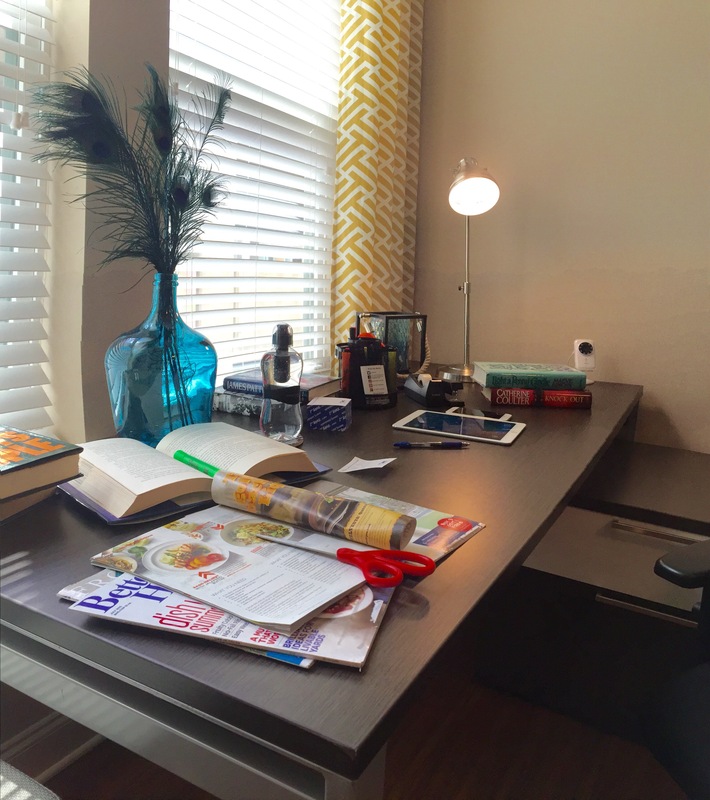 When choosing a desk, consider one that maximizes space. The Container Store’s Java Linea Leaning Desk leans up against the wall, taking up minimal floor area while still allowing for plentiful work space. Chair shopping should be centered around comfort, but you can still make room for style! This swivel chair from Target has a fun look at an affordable price. A closer look at our designer-approved desk. Have a good lamp for task lighting — In addition to sufficient overhead or ambient light, select a desk lamp with a movable head to spotlight your work as needed. This is also a great opportunity to incorporate metallics or color for a personalized look. Keep papers and pens in check — Rather than a bulky file system, our designer suggests a simple letter organizer to place on your desk to keep papers neat and easily accessible. For pens, use brightly colored multi-purpose holders (a favorite mug, for example) to hold them all in one place. Consider a glass desk — If you can only dedicate a small corner of a room to your workspace, opt for a glass or translucent desk to help the room appear larger. Light (both natural and artificial) can also pass freely through this material, creating a brighter, cheerier ambience for your workspace. Just add greenery — Orchids, succulents, and air plants are all great choices for a desk: they’re low-maintenance yet still offer a pop of life and color. Keep it neat — Books and magazines are usually part of any desk space, but you can maintain a cohesive look by organizing them by color and size. The color and size rule works well for everything else on your desk, too — sticky notes, highlighters, pens, you name it! A hands-on approach — If you’re right-handed, keep all of your pens, notebooks, etc. on the right side of your desk. Vice versa for lefties! Remember, no home workspace is complete without the personal touches. Your office should reflect you as a person. Hang pictures and photographs that keep you positive and driven. Add a chalkboard for daily notes or inspirational quotes. Decorate in a way that will make you happy and excited to work. When developing the floor plan of your home office, you need to consider two types of storage: bookshelves and file cabinets. Bookshelves are obvious storage options for work-related literature, workbooks and manuals. They also offer additional storage for decorative items. When choosing a bookshelf, remember to remain space-conscious. Consider a ladder bookshelf that is both practical and aesthetically pleasing. One of the hardest parts about working from home is staying organized. Though bookshelves are great for bound documentation, any loose or private paperwork should be filed away. If your desk doesn’t have a built in file cabinet, try a portable rolling one that will fit right under your desk. Most office work is done electronically, so a computer or laptop is a necessity. If you are looking for a cheaper option and don’t plan on moving around much, buy a desktop. If you want to be able to take your work with you, consider a laptop. If you want both, you can hook up an extra monitor to your laptop giving you the feel of a desktop with the convenience of a portable computer. CORT Furniture allows you to rent chic, of-the-moment furniture for reasonable prices — they also have a great clearance section full of deals! Doerr Furniture offers a classic approach to home decor with several wooden desk designs. Modern Market takes a modern, sleek and minimalist approach to its furniture. Box Paper Scissor designs one-of-a-kind office supplies. Cut back on clutter: As time passes, you inevitably accumulate clutter — way too many pens, pencils, highlighters, paper clips, and rubber bands. So, take a few minutes to edit your ever-growing collection down. Keep the few things that you like and use, and give the rest away! Build a digital file cabinet: If your drawers are overflowing with papers, consider moving some of those items into a “digital file”. Shred the items that you honestly don’t need, and scan and save on your computer any paperwork that you need, but don’t need a hard copy of. Also, be sure to back up this file to an external hard drive or to a cloud service like Google Drive or Dropbox for safe keeping. End all unsolicited mail: Junk mail can be annoying and a source of a lot of clutter. If you get way too much in the mail, the Federal Trade Commission has put together a list of ways you can stop most of the unsolicited mail that arrives in your mailbox. Also, you can call 1-888-5-OPT-OUT (1-888-567-8688) or visit optoutprescreen.com, to stop all credit card and insurance offers for five years. If you found this article helpful, please share on Facebook or Twitter!